What is the heart of a home? 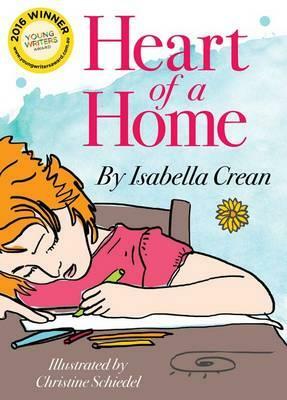 For ten year old Isabella Crean it’s the dining table. Crean, who suffers from epilepsy and has associated learning challenges, was the winner of an Australian-wide writing competition, and had her entry published – in this full-colour book. As one of the competition judges, I remember reading her story and scoring it highly. It’s quite an accomplishment for a child of her tender years. It’s a simple story, well told with language which is imbued with emotion, and which is clearly written. It’s a credit to Redgum Book Club that they published this winning entry and had it illustrated with line and coloured watercolour wash. Hopefully it will inspire children aged 8 to 12 years to read it, and perhaps to also write about what they think is central to their homes.